Jacinta: Let’s talk about dinosaurs. Are they a thing? Canto: Of course they are, what are you talking about? Jacinta: Well I read recently in a New Scientist article that for quite some time in the recent past dinosaur experts didn’t really think ‘dinosaur’ existed as a scientific classification. A new way of classifying was needed because some dinosaurs were bird-hipped and some were lizard-hipped, though they were neither birds nor lizards. So, new names were required. Canto: Right, so some had hips like lizards, but were clearly not lizards because they had anatomical features that set them apart, and the same went for those that had hips like birds? Jacinta: Yes I think that’s right. Let’s talk as we learn. Bird-hipped dinos are ornithischians – think ornithology – and the lizardy ones are called saurischians. It was Harry Seeley who shook up the dinosaur-loving world back in 1887 when he argued, before the Royal Society, that what they’d thought were dinosaurs (a term coined by Richard Owen) were really two separate groups, based on those hip bones. Seeley was right about the two groups, but the term ‘dinosaur’, which of course has never disappeared in popular writing, has been rescued over time for science by agreement on other features which bespeak ‘dinosaur’. This has much to do with cladistics, which we may or may not discuss later. Canto: So the first dinos appeared some 235 mya in the late triassic period, but interestingly they flourished between two major extinction events, the Triassic-Jurassic extinction event about 201 mya, a very sudden event that allowed dinosaurs to fill vacated ecological niches on land, and the Cretaceous-Paleogene (or Cretaceous-Teriary, or K-T) extinction event of 66 mya, which wiped out all the non-avian dinos. Jacinta: And it should be mentioned that birds are now considered feathered avian dinosaurs, descended from earlier therapods, which strangely are saurischians (lizard-hipped), though a very recent and still controversial paper has reclassified them as ornithischians. I should also mention that dinosaur researchers are a notoriously feisty and bickering tribe, from what I’ve heard. Canto: I’ve started ploughing through a course on dinosaurs via youtube – The Natural History of Dinosaurs – and I’ve already learned some words, just as background: lithify, diagenesis and coprolite. I’ll let you know if anything exciting crops up, but tell me more about birds being the only remaining dinosaurs and how we know that. Jacinta: Well, it’s been known since at least the discovery of Archaeopteryx, the type specimen of which was found just two years after Darwin published The Origin of Species, that there are clear anatomical similarities between birds and non-avian dinosaurs. Feathers and hollow bones, for example. There’s also evidence that they share nesting and brooding behaviour. There are also relations with non-avian dinosaurs, some species of which also had feathers, and these discoveries are raising fascinating questions about the origin of flight in these creatures. Of course it’s all very controversial and some researchers are still holding out on the dinosaur-bird link, suggesting other archosaurs were the ancestors. Jacinta: It means ‘ruling reptile’ and these are creatures which first emerged some 300 mya, and they’re the ancestors of living reptiles today. They’re also the ancestors of birds, and dinosaurs. So they’re a larger and older group. Presumably the hold-outs have reason to think birds emerged out of some reptilian line that was distinct from theropod dinosaurs. But that’s nothing to the arguments about the evolutionary steps that led from maniraptoran theropods (perhaps) to modern birds, or the arguments about the origin of flight. Now let me point out that theropods are a suborder of dinosaurs with hollow bones and three-toed limbs, which have long been classed as saurischians until this very recent paper discussed in the New Scientist article, which reclassifies them as ornithiscians. And this seems to be another step – if it holds – towards our understanding of the relationship between birds and their ancestral dinosaurs. An earlier but still pretty recent step were the discoveries, particularly out of China, of a number of fossilised dinosaurs with evidence of feathers, or proto-feathers, and all this, together with advances in analysing and categorising existing specimens using cladistics described in Wikipedia as ‘a method of arranging species based strictly on their evolutionary relationships, using a statistical analysis of their anatomical characteristics’. Canto: I get very confused about all this. Weren’t there flying dinosaurs – we used to call them pterodactyls – and did they have feathers, or were their means of flight completely different? I seem to remember them depicted like gliders – I mean of the animal kind, with great flaps of skin to catch the wind… Of course that was long before any talk of feathered dinos. Jacinta: Well hopefully I’ll get to that. Let me talk first about Archaeopteryx, which they reckon dates back to about 150 million years ago. It was probably about the size of a magpie, though there may have been different species of different size (only 11 fossil specimens have been discovered so far). They had feathers, but it’s not known whether they flew like modern birds (flapping flight) or merely glided. A recent study (which I’ve not read) has argued that their flight capabilities were quite limited. They had long, bony tails, which I’m assuming would’ve hampered long-term flight. Interestingly, complex and, for me, impossible-to-verify coloration analyses have presented evidence that the feathers of these critters were a matte black, at least predominantly. Of course it’s hard to prove all this conclusively with 150 million-year-old animals, but speculation and analyses continue, for example on the brain-case of one Archaeopteryx specimen, to determine whether it had a brain for flight (e.g. adequate eyesight, hearing and muscle manipulation). Most of this converges on a limited flight ability, but just how limited will be endlessly argued. And concerning the evolution of birds and flight, there’s a ‘trees-down’ theory (think of sugar gliders etc) and a ‘ground up’ theory. Where does Archaeopteryx fit with those alternatives? That’s still up for grabs. Canto: Okay, so what about pterodactyls, are they still a thing? Dactyl means digit or finger, doesn’t it? Canto: So what about their relation to birds? Any sign of feathers? Jacinta: They may have had downy feathers here and there, but not for flight. Their wings were more like those of bats, and they were originally classified as an archaic type of bat. In fact, in the early days of taxonomy, many fossils that had vague similarities to the first pterodactyl fossils discovered in the late 18th century were wrongly designated as pterodactyls, which probably explains their general popularity. It has taken years and many improvements in analysis and dating to sort out the mess, and apparently it still hasn’t been sorted. Anyway, they’re not seen as ancestral to birds. But I may be wrong. Jacinta: So getting back to the origin of birds, the question of clavicles (collar bones) is important. Birds have wishbones (furculae), which are fused clavicles. The question of bird ancestry has hung on these clavicle bones to a large degree. They’re delicate bones, not easily preserved, and it was long thought that they didn’t exist in dinosaurs. This view has been completely overturned, and in fact most of our understanding about the relationship between birds and earlier dinosaurs come from skeletal studies, or re-examinations, as well as studies of musculature and internal organs, though of course it’s feathers that capture the public’s imagination. But of course there’s a lot of controversy about the how and when of bird evolution, and the evolution of flight, which you’d expect from such scant solid evidence together with intense scientific and public interest. Canto: Well, I’ve learned something more than the little I knew before about dinosaurs. And their hips. I’ll watch the rest of ‘The Natural History of Dinosaurs’, and we’ll speculate some more in a later post. Okay I was going to write about the intriguing and tragic figure Ludwig Boltzmann, in keeping with my plan to write connected pieces, but today’s ‘wow’ news reports about ginormous dinosaur bones found in Argentina – already the domain of the largest dino ever found, the sauropod Argentinosaurus – have proved just too irresistible. Ludwig will have to wait. I learned about Argentinosaurus earlier this year while researching dinosaurs for another post, but this recent discovery is of what’s believed to be a new species of titanosaur or giant herbivore. 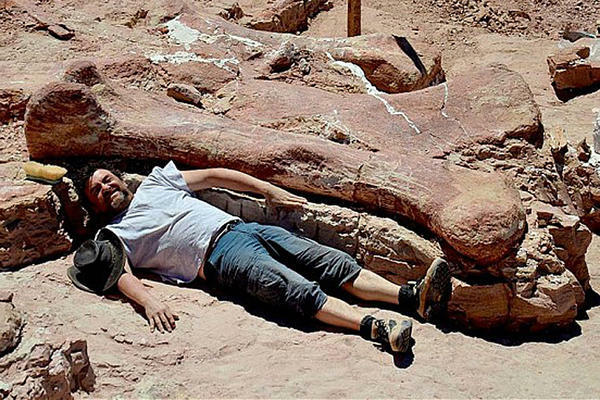 You’ll see pics of the giant thigh bone all over the net, usually with some dusty palaeontologist or farm worker snuggled against it, but scientists are cautioning against too much speculation about this beast’s proportions in comparison to that of Argentinosaurus, from the relatively scant remains found so far. We do love to see records broken, don’t we? In any case the animal’s femur looks like taking the record of biggest bone ever found. 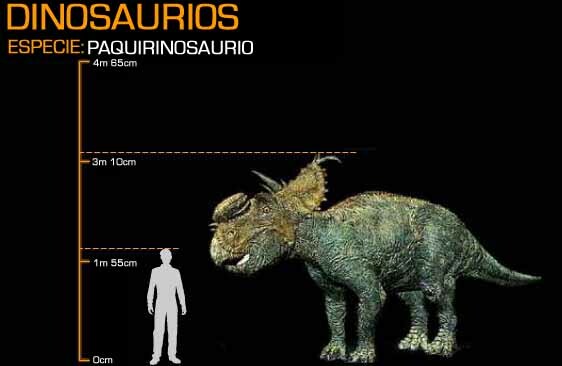 Of course, even if this unnamed beastie was 77 tonnes, as some pundit has calculated it, compared to 70 tonnes for Argentinosaurus, that doesn’t prove that one species in general was larger than the other. Argentinosaurus’ weight has been based on even more scant remains. Take a look at a range of websites, including Wikipedia’s entry on dinosaurs, and you’ll find quite a range of values for the weight of Argentinosaurus. It’s not quite wild speculation, but it’s speculation nonetheless. I’m also wondering, from my profoundly non-expert perspective, if these bones from what is now Argentina reveal the limited range of those creatures or if they’re largely a result of a combination of the right kinds of preservatives – soil type, climatic conditions and so forth – prevailing in that region. It’s a great time for dinosaur fans. A new species of long-snouted tyrannosaur, named Pinocchio rex, has recently been unearthed, ‘remarkably well-preserved’, in southern China. It’s estimated to have lived about 66 mya, in the late Cretaceous, the last period of the dinosaurs. Not quite the size of T rex, it may have been faster and nimbler. One expert described it as a cheetah to T rex’s lion, because the two tyrannosaurs lived and hunted in the same regions, chasing different prey. Our new Titanosaur also hails from the Late Cretaceous, though probably earlier than P rex (the Late Cretaceous extends more than 30 million years, from 100 to 66mya). Incidentally, the record for the smallest dinosaur goes to a birdie from 120 mya called Quiliana, weighing in at 15 grams. Well, that’s according to this site. Wikipedia describes the smallest dinosaur as weighing about 110 grams and measuring about 35 cms but they don’t include ‘avialan’ dinosaurs (i.e. birds). In fact, just about every site I’ve checked out describes a different species. But if you accept, as many do, that birds are dinosaurs, then the smallest dinosaur ever is still with us. 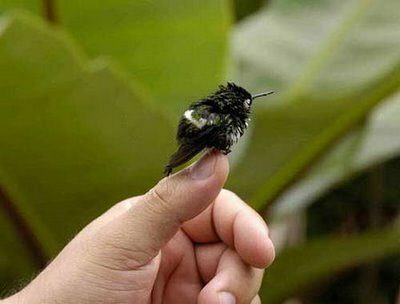 The bee hummingbird is only about 5 centimetres long and weighs about 2 grams. who fought who in the upper cretaceous? So here I am at lovely Victor Harbour on Encounter Bay where England’s Matt Flinders and co encountered France’s Nick Baudin and co most unexpectedly over 200 years ago as each expedition was sailing round this great south land in opposite directions, mapping and exploring and discovering, but I’m not going to tell that story, I’m going to explore a much earlier era, as we spent a little over an hour in the heat of the day in the local cinema, watching a thing called Walking with dinosaurs – the movie. I think this was a companion-piece to Walking with dinosaurs – the real thing, or something like that. Anyway, it was aimed largely at kids, with a horribly anthropomorphised storyline replete with Yank cliches, in Yank accents, in spite of its being a BBC production. The animation was fine though, and hey it was dinosaurs, so more or less bearable. But what about historical accuracy? Wouldn’t want to be leading kids up the garden path. The story, we’re told, takes place 70mya, in what’s now Alaska. Our hero starts life as the runt of the litter, and of course ends up as the leader of a herd of hundreds if not thousands. He’s a pachyrhino or something, and they headbutt for control of the females, and other males, and have to fight off their natural predators, the omnivorous gorgosauri. He also at one stage gets adopted by a wandering herd of gigantic edmontosauri, a herbivorous bunch. I’m no dinosaur expert but I’ve never heard of any of these beasties, whose names are presented to us with an air of scientific authenticity. Well, as it turns out they’re all quite real (what was I thinking, BBC and all). Gorgosaurus (‘fierce lizard’) is known to have roamed about the region of modern Alberta, Canada some 75mya (the late or upper Cretaceous). Weighing in at more than 2 tonnes, it was an apex predator, a genus of tyrannosaurid therapod dinosaur, and is one of the best-represented tyrannosaurid therapods, with dozens of specimens found, so shame on me for my ignorance. Smaller than Tyrannosaurus, to which it’s distantly related, it’s often confused with Albertosaurus, and they may simply be variants. 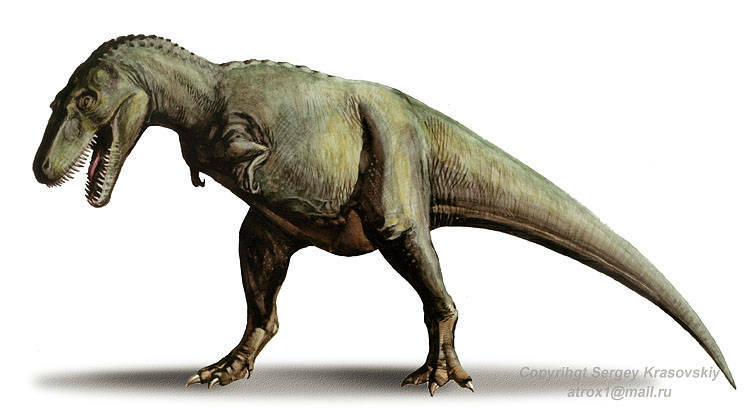 As with all tyrannosaurids, its massive head is crammed with teeth, though not so many, and not so blade-like, as T rex. The Wikipedia article on gorgosaurus is incredible detailed and overwhelmingly rich for dilettantes comme moi, but it’s well worth a visit. The protagonist of the movie was a Pachyrhinosaurus. They inhabited the Alberta and Alaska regions from 79 t0 66mya. They’re a genus (of which 3 separate species have been recognised) of centrosaurine ceratopsid dinosaurs. They were gentle giants (when they weren’t headbutting), weighing up to 4 tonnes, and their presentation in the film as herd animals is backed up by the most important find of pachyrhinosaurus fossils, a bone-bedalong Pipestone Creek in Alberta, where some 3500 bones and 14 skulls have been found, apparently the site of a mass mortality, possibly a failed river crossing. Pachyrhinosaurus has become a popular dino since being relatively recently discovered, in the forties. I’ve mentioned it’s a centrosaurine ceratopsid, the centrosaurinae being a subfamily of ceratopsid dinosaurs (which doesn’t include Triceratops, the most well-known ceratopsid). The centrosaurines are divided into two tribes, the centrosaurins and the pachyrhinosaurins. Ceratopsids all have these fearsome-looking great horny heads, like elephantine frill-necked lizards, but they’re all quadrupedal herbivores, so not only are we safe from being eaten by them, we might be able to eat them ourselves if we could bring them back to life. And I’m sure their horns would have aphrodisiac qualities. 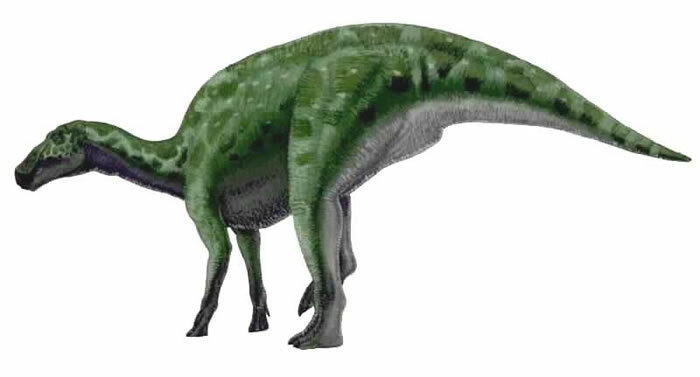 The other dinosaur type featured, Edmontosaurus, was a hadrosaurid or duck-billed dinosaur, some 12 metres long and 4 tonnes in weight. There are two known species, one of which is known to have lived right up to the Cretaceous-Paloegene extinction event (the one that killed off all non-avian dinosaurs). They were coastal-dwelling herbivores, from North America (so-named because first found near modern Edmonton), and if the general rule is – and I’m largely guessing here – that the herbivorous dinos roamed about in herds, like modern-day bison, antelopes and kangaroos, then the scenario in Walking with dinosaurs, in which our young pachyrhino and his bro hook up with a herd of edmontosauri for a while, and were savaged by scavenging is almost plausible for the time and place. So, with the help of Wikipedia mainly – it’s very comprehensive on this stuff – I managed to get quite a lot out of Walking with dinosaurs, though I have to say, some of it was strictly for the birds.